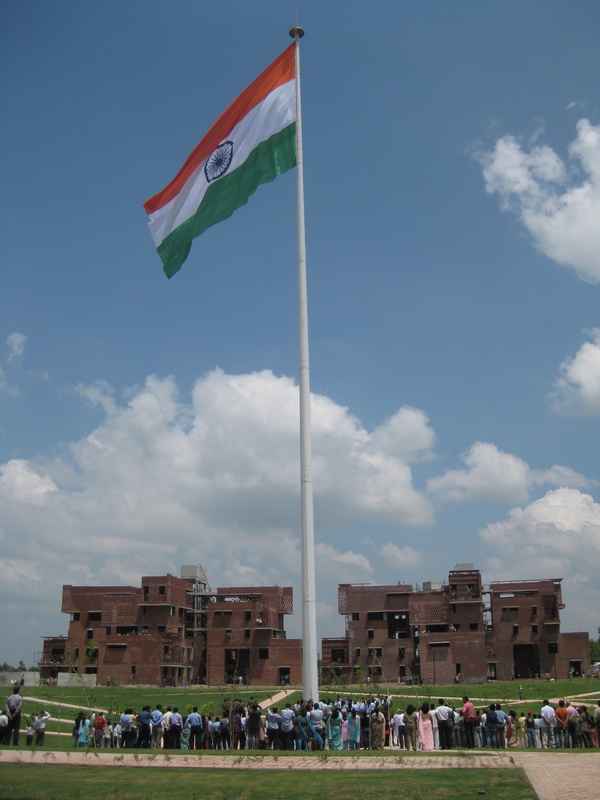 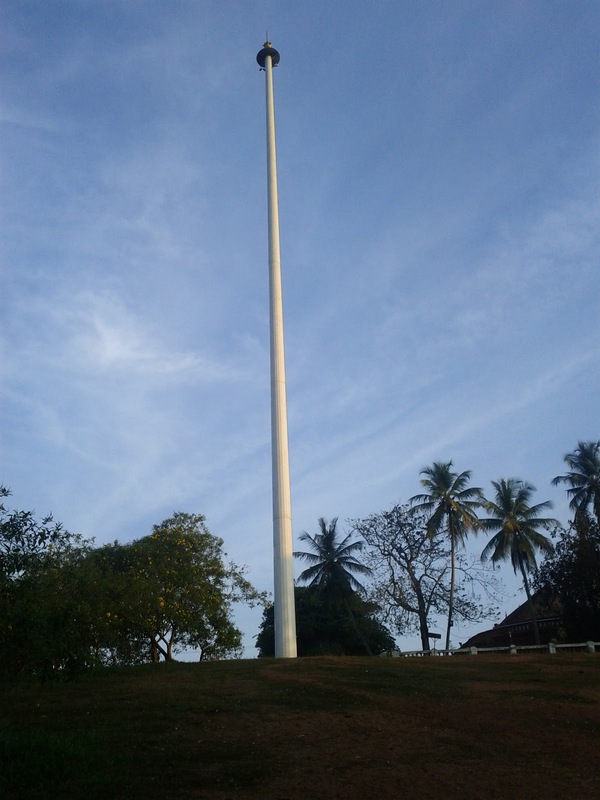 After getting delayed for over a year due to issues with clearance from the Airports Authority of India, one of India's tallest flagpoles will soon bear the National Flag over the historic Kanakakkunnu Palace in Kerala's Capital. 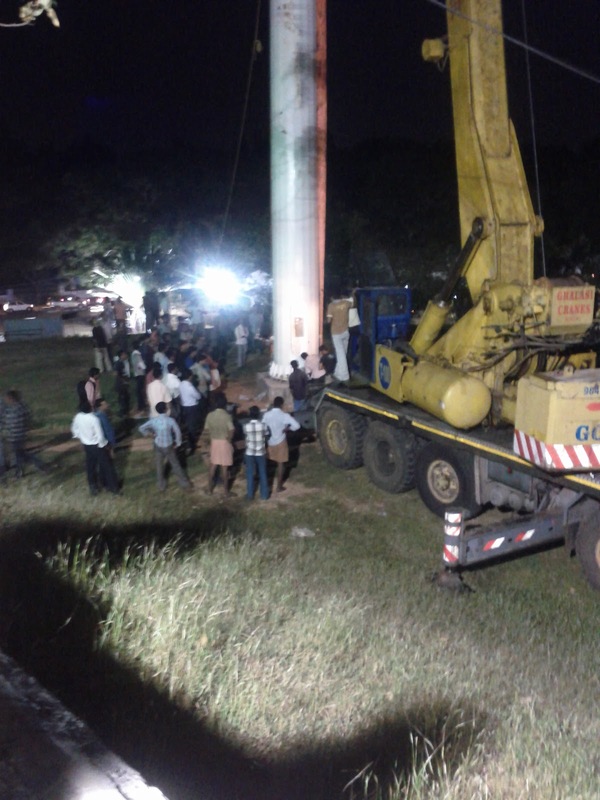 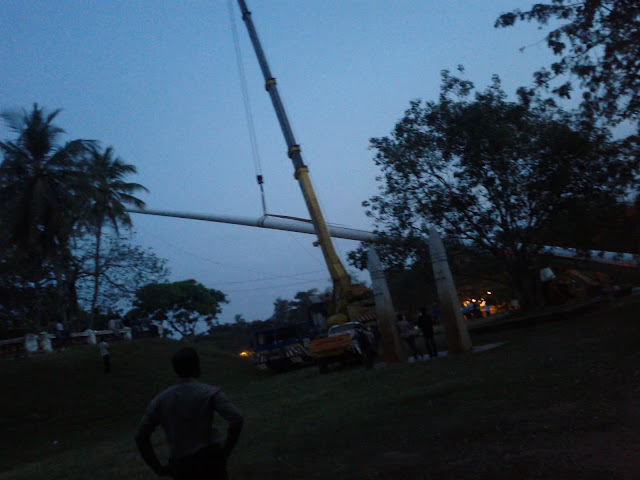 The 200 foot flagpole, paid for by MP and Billionaire Naveen Jindal's Flag Foundation of India, was laid low (pun intended) because the Kerala Tourism Department neglected the minor detail of getting permission from the Airport Authority of India for putting up the towering structure in the center of the city and literally across the road from its headquarters building, Parkview. 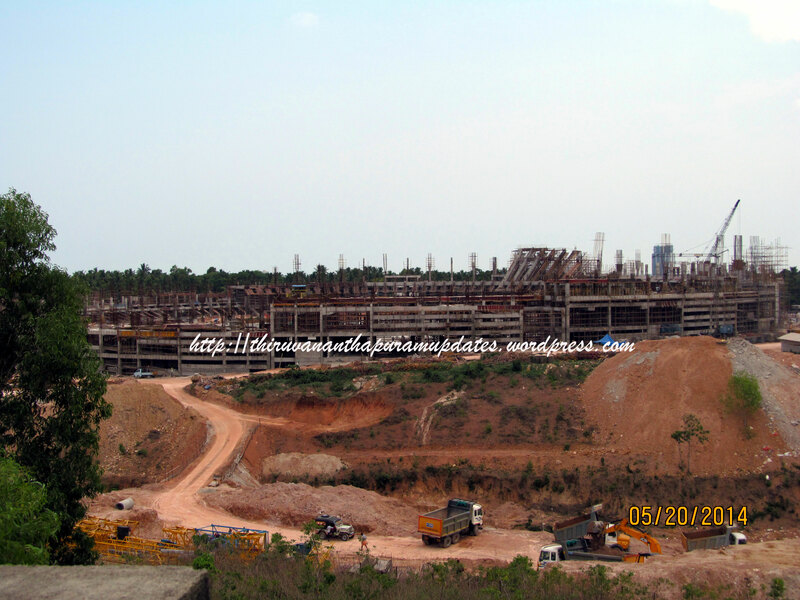 The project is one of the many being promoted by Trivandrum MP and Union Minister of State for Human Resources Development, Dr Shashi Tharoor. 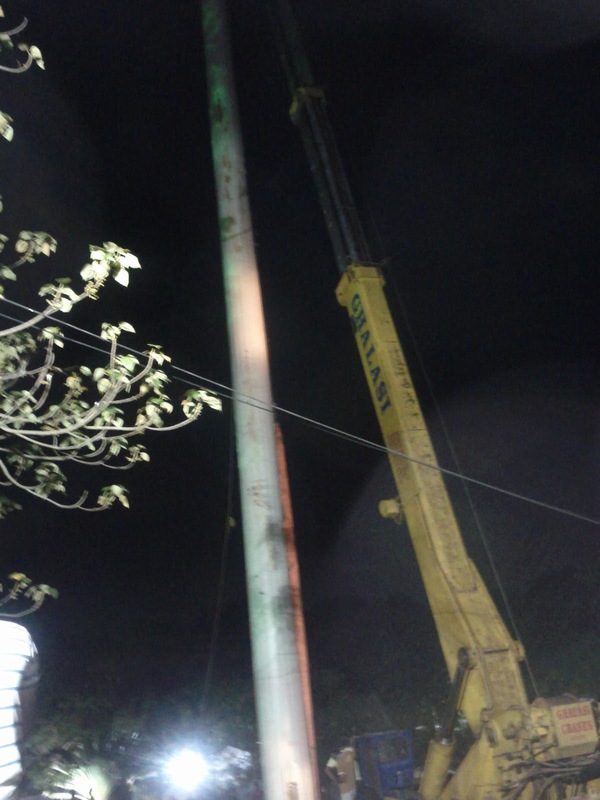 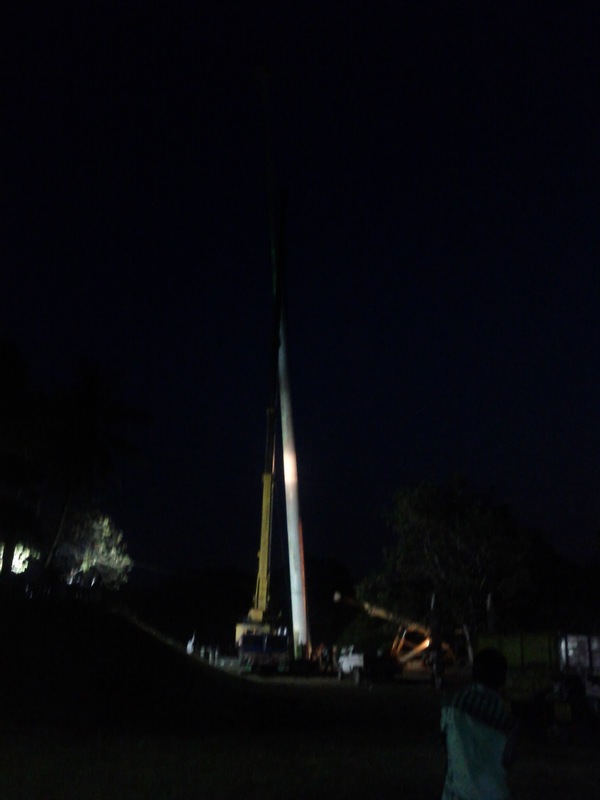 It seems that after a slight trimming of height, the giant flagpole will soon bear an equally enormous tricolor, with a huge mobile crane lifting the pole into place during the night of December 19th. A friend of mine promptly snapped the operation and sent me a few of his pics. 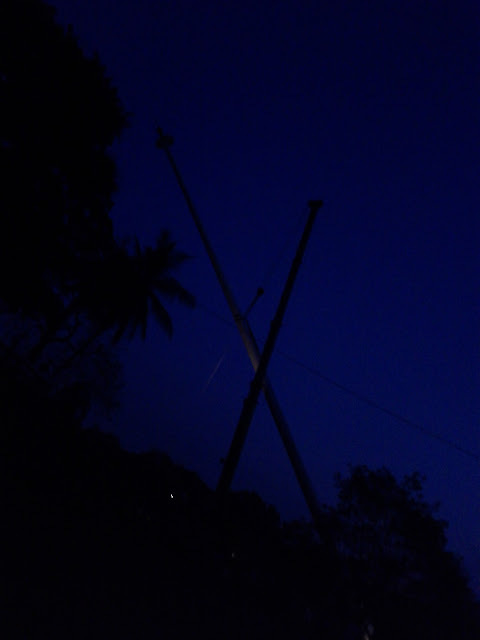 May it fly forever above the historic and proud Capital City, and may it herald years of prosperity and happiness as its smaller counter-parts do before festivals at our temples and churches! Pictures of the completed flagpole, again courtesy of the same friendly photographer.